Wolf Commercial Real Estate, a leading Southern New Jersey commercial real estate broker that specializes in South Jersey commercial real estate listings and services, now has available highly visible South Jersey retail space for sale or lease at 424 White Horse Pike Magnolia NJ. This Southern New Jersey retail space for sale or lease is a single-story, freestanding South Jersey retail building with approximately 7,000 square feet of Magnolia retail space for sale or lease. 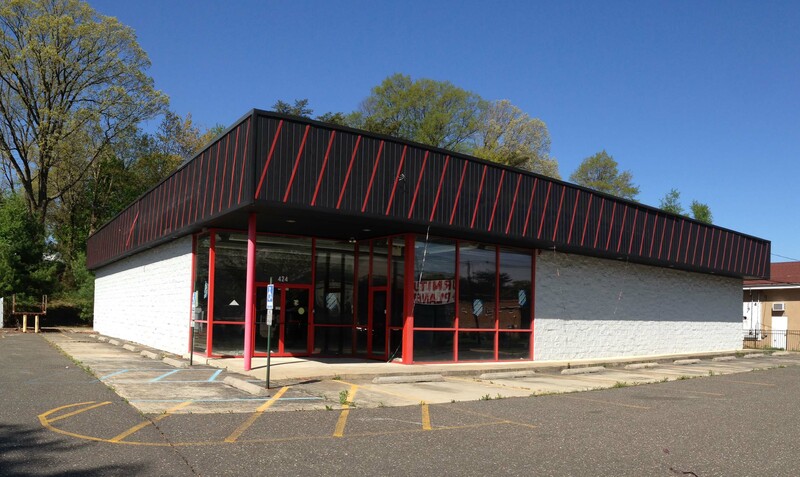 A former AutoZone retail building, this South Jersey retail space for sale or lease at 424 White Horse Pike Magnolia NJ is ideal for open retail space. There is maximum flexibility to fit any type of retail or professional use at this retail space in Magnolia through Wolf Commercial Real Estate, a Southern New Jersey commercial real estate brokerage firm that specializes in South Jersey commercial real estate listings and services. The asking sale price for this Southern New Jersey retail space for sale or lease is $850,000 ($121.43/sf). The asking lease price for this Magnolia retail space for sale or lease is $12.00/sf NNN. This South Jersey retail building for sale or lease is available for immediate occupancy through Wolf Commercial Real Estate, a Southern New Jersey commercial real estate broker that specializes in South Jersey commercial real estate listings and services. Located on the heavily traveled White Horse Pike (Route 30), this South Jersey retail building for sale or lease at 424 White Horse Pike Magnolia NJ is just minutes from I-295 and is easily accessible to many of South Jersey’s key communities and also to Philadelphia. The busy retail corridor where this retail space in Magnolia is located offers many amenities and has large box retailers nearby. Parking is abundant at this Southern New Jersey retail space for sale or lease at a ratio of 6.25/1,000 sf. Situated in a densely populated area, the demographics are excellent for this Magnolia retail space for sale or lease through Wolf Commercial Real Estate, a Southern New Jersey commercial real estate brokerage firm that specializes in South Jersey commercial real estate listings and services. There are more than 270,500 people living within a five-mile radius of this South Jersey retail building for sale or lease. In addition, more than 32,000 vehicles per day pass by this retail space in Magnolia. For more information about this South Jersey retail space for sale or lease at 424 White Horse Pike Magnolia NJ or about any other South Jersey commercial properties for sale or lease, please contact Jason Wolf (856-857-6301; jason.wolf@wolfcre.com) at Wolf Commercial Real Estate, a Southern New Jersey commercial real estate broker. Wolf Commercial Real Estate is the premier Southern New Jersey commercial real estate brokerage firm that specializes in South Jersey commercial real estate listings and services, marketing commercial offices, medical properties, industrial properties, land properties, retail buildings and other South Jersey commercial properties for buyers, tenants, investors and sellers. Please visit our websites for a full listing of South Jersey commercial properties for lease or sale through our Southern New Jersey commercial real estate brokerage firm.